Drop the mast! Call the eagle! It's time for adventure! Explore the enchanting stories of The Cassé Lands. The Potion Master is an enchanting story of a magical adventure to save a young girl's life. Antonio Swift and his wedge tailed eagle Dimitri must travel across the Cassé Lands searching for a cure. But The Potion Master is missing and the ingredients are far flung, hidden across the enchanting Cassé Lands, giant monsters protecting them as a dragon protects its gold. Hush little child, else you will disappear. A perpetual mist has enveloped the land. After decades of silence, everything within its grip has wilted or died. In among the Cassé Lands, the Realm of Silence has become nothing but a dark shadow forgotten by other lands. If anyone so much as whistles they are hunted down by the Lord King’s servant: The Lieutenant, a man aided by horrific surgical enhancements. 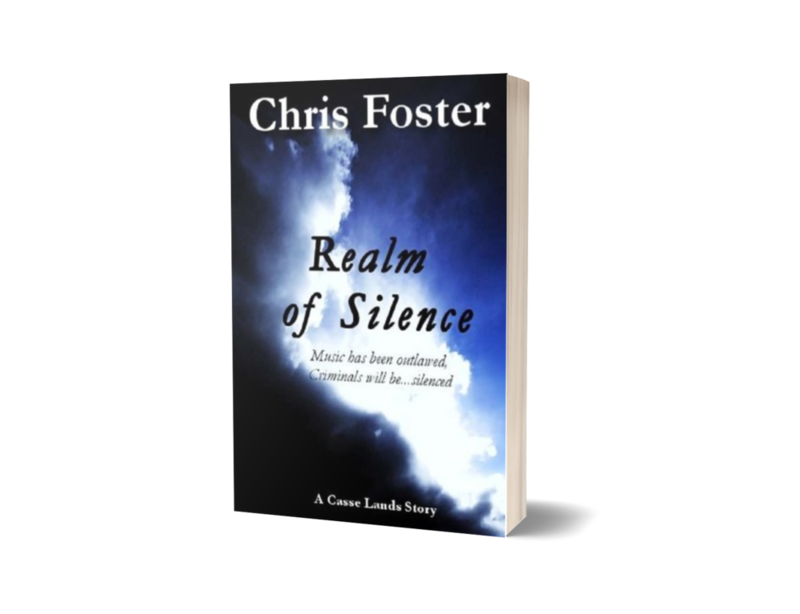 In a small village lives Greg, a boy verging on adulthood who is attacked by a monster born from the silence. He is only saved when the village's exile uses a musical instrument, instantly placing a bounty on their heads. Chris started work on The Potion Master when he was thirteen. Originally titled 'The Adventures of Antonio Swift' it was influenced by seeing a very ill loved one and wishing he could find an instant cure for the condition.